This little book has been read by many in search of a deeper walk with God. It is one of those books (and authors) that people either absolutely love or hate. I think that is because it represents the thirst in America for true, Holy Spirit revival and yet at the same time is a modern representation of the Holiness movement. The American version of the Keswick Movement has been promoted through men such as Alan Redpath, W. Ian Thomas and Stephen Olford and in such schools as Columbia Bible College and Prairie Bible Institute. L.E. 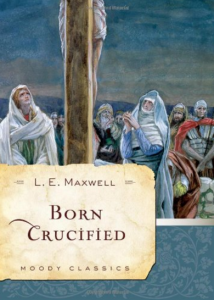 Maxwell was the founder of Prairie and a prolific writer representing the modern holiness views. One cannot help but sympathize with his concerns over the condition of today’s Christianity. But the reader must be on guard for less than standard theology!